Early and late effects of cancer treatment are of increasing concern with growing survivor populations, but relevant data are sparse. We sought to determine the prevalence and hazard ratio of such effects in breast cancer cases. Women with invasive breast cancer and women with no cancer history recruited for a cancer research cohort completed a mailed questionnaire at a median of 10 years post-diagnosis or matched reference year (for the women without cancer). Reported medical conditions including lymphedema, osteopenia, osteoporosis, and heart disease (congestive heart failure, myocardial infarction, coronary heart disease) were assessed in relation to breast cancer therapy and time since diagnosis using Cox regression. The proportion of women currently receiving treatment for these conditions was calculated. 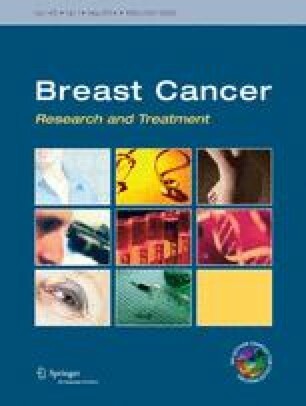 Study participants included 2,535 women with breast cancer and 2,428 women without cancer (response rates 66.0 % and 50.4 %, respectively) Women with breast cancer had an increased risk of lymphedema (Hazard ratio (HR) 8.6; 95 % confidence interval (CI) 6.3–11.6), osteopenia (HR 2.1; 95 % CI 1.8–2.4), and osteoporosis (HR 1.5; 95 % CI 1.2–1.9) but not heart disease, compared to women without cancer Hazard ratios varied by treatment and time since diagnosis. Overall, 49.3 % of breast cancer cases reported at least one medical condition, and at 10 or more years post-diagnosis, 37.7 % were currently receiving condition-related treatment. Responses from survivors a decade following cancer diagnosis demonstrate substantial treatment-related morbidity, and emphasize the need for continued medical surveillance and follow-up care into the second decade post-diagnosis. For the Cancer Genetics Network. This study was supported by grants U01CA078284, U24CA078134, U24CA078142, U24CA078146, U24CA078148, U24CA078156, U24CA078157, U24CA078164, U24CA078174; and contract HHSN2612007440000C from the National Cancer Institute.